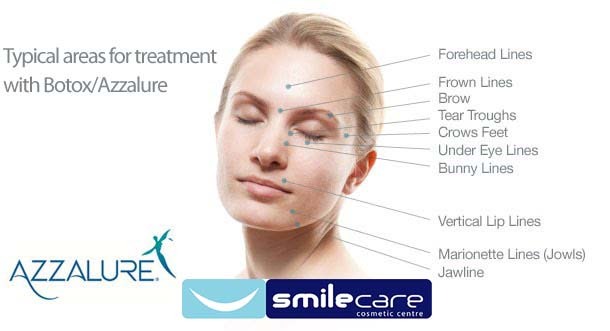 Patient demand is increasing for non-surgical anti-wrinkle treatments as a quick, pain-free and effective procedure. So…. What’s New In The World of Facial Aesthetics? Crease lines, wrinkles, loss of volume on the face are all natural parts of ageing. Some of us embrace age without any issues. On the other hand, many folks go through painstaking lengths to fight of signs of ageing. These lines commonly start appearing in the thirties and become more prominent in the fifties. There are many reasons including lifestyle, genetics, smoking, over exposure to sun and repeated facial expressions that result in these unwanted changes. Anti-Wrinkle Injections for the temporary improvement in the appearance of moderate to severe glabellar lines (vertical lines between the eyebrows) seen at frown and lateral canthal lines (crow’s feet lines) in adult patients under 65 years, when the severity of these lines has an important psychological impact on the patient. Anti-Wrinkle Injection contains a substance, botulinum toxin A, which causes muscles to relax. It acts at the junction between the nerves and muscle to prevent the release of a chemical messenger called acetylcholine from the nerve endings. This prevents muscles from contracting. The muscle relaxation is temporary and gradually wears off. Anti-Wrinkle Injections should only be administered by physicians with appropriate qualifications and expertise in this treatment and having the required equipment. The effect of the treatment should be noticeable within a few days after injection. The interval between treatments with Anti-Wrinkle Injections will be decided by your doctor. You should not have treatment more often than every 12 weeks. ANti-Wrinkle Injection is not indicated for patients under the age of 18. As injectable treatments for wrinkles and frown lines, all Anti-Wrinkle Injection products work similarly: they both contain very small doses of botulinum toxin, which inhibits the stimulation of nerves, with the effect of relaxing the muscles that cause facial wrinkles. This is an advantage, as fewer injections are required in large areas (such as the forehead), with less potential discomfort for the patient. We recommend booking an appointment at Smile Care Plymouth, we aim to help you look younger by using the most popular non-surgical treatment using Anti-Wrinkle Injections to get rid of those wrinkles on the forehead, frown lines and lines around the corner of your eyes.